What kind of problems, you might ask? who argues for solutions that are "lean, simple, clean and social". I believe that every project I undertake should be documented and repeatable. I have assisted research expeditions in Borneo, Greenland, Namibia, Botswana and Belize. and a paper in preparation on the microclimate of a cave in Borneo. In the Summer of 2012 the Purple Swing Project began with one piece of wood and some clearance-sale purple paint. It continued to evolve in Europe, where I placed 20 swings in 15 cities. The focus is to use locally-sourced materials and resources, including tools and assistance, to create a swing in a public location. Swings are a type of interactive art that really can make a city more inviting. For the past 2 years I have been working on a way to generate energy from these swings. As of November-December 2014, I finally made this dream a reality. A layered concrete works to absorb rainwater that seeps to a living layer beneath, sandwiched between insulating layers that act to absorb solar energy and protect the building from moisture. This development by UPC in Barcelona is intended for primarily Mediterranean climates, but offers an innovative solution to CO2 emission reductions in those regions by utilizing building wall space. Normal concrete is not conducive to most plant life, so this concrete is more acidic, with lower pH levels. 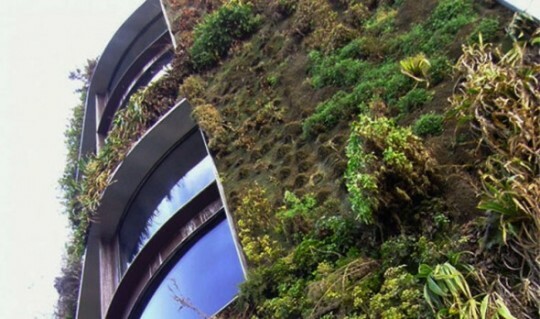 Although buildings worldwide already feature vertical gardens, the idea to implement them within the actual wall structure is revolutionary. 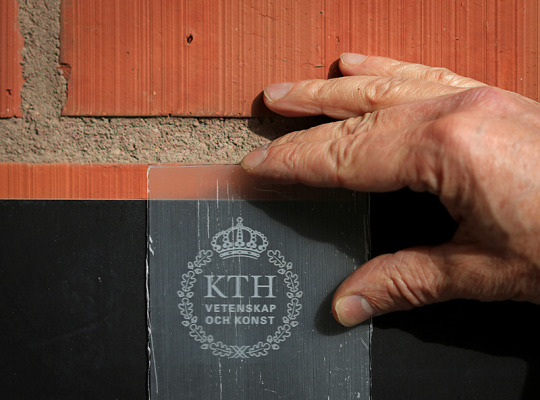 At the Wallenberg Wood Science center at KTH in Stockholm, a new solution to solar panels is growing. Removing lignin from cell walls of wood allows for researchers to generate a transparent wood that can be used in windows and walls for solar panels while still maintaining some privacy. This would allow for solar panels to be further incorporated in building surfaces. The benefits of using wood include low cost and availability as a renewable resource. The center is currently working on ways to ramp up production and improve the transparent qualities. HomeBioGas, a backyard bio-digester can convert every 1kg of waste food into 200 liters of gas - enough for a full hour of cooking. This really attests to its ability to function off-grid, and the future possibilities are exciting. Additionally, it also produces fertilizer and can digest most types of food including meat and dairy. The product is in its final stages of funding on Indiegogo and expects to launch soon. Truly better than compost! A pilot project in western Australia, CETO is harnessing wave power to produce both energy and desalinated water. 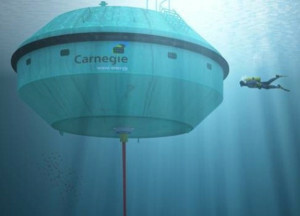 The system is located underwater to protect it from corrosion. The desalination is coupled with the pump system used to pressurize the water before it is sent to an onshore hydroelectric power generation station. Using piezoelectric generation and ePaper, ShiftWear proposes to harvest energy from walking to power animated displays on shoes. Currently just in the prototype phase, the project still has hurdles to overcome in producing a viable model. Regardless, the idea demonstrates what may is possible for the future application of energy harvesting. 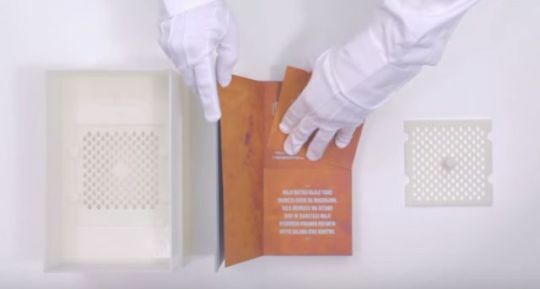 With 99.9% effectivity on bacterial agents, the drinkable book has a promising future for developing regions. It teaches clean water drinking habits at the same time as filtering water through silver nano particles that coat the pages. A great commentary on the amount of power we need to power devices we may consider simple and take for granted in our everyday lives… how effective are human powered machines? I also develop and maintain sites like this one.